I know the first month of the year has already gone, but I hope all of you had a great start to the year. I’ve been working on some exciting projects, and winning this gorgeous selection of pieces must be an indication of more good things to come :) Thank you Nikole! We are still only half way through the gloomy British winter, but I can definitely feel spring in the air, and early January when these beautiful oranges start appearing makes me feel we’ve turned the corner. I’ve written how much I love Seville oranges before, and making this sorbet has been an annual ritual. I recently spotted some beautiful blood oranges too and couldn’t help trying a recipe that combines them. Browsing through my ice cream bible, David‘s Perfect Scoop, I was intrigued by his orange and Sichuan pepper ice cream recipe. I love Sichuan peppercorns (although they are technically berries) – they are fragrant and not overly spicy, the citrussy flavour seems to work well in many dishes, and one of my recent favourite recipes is Nicky’s 3 pepper spaghetti carbonara. David infuses the pepper and orange zest in ice cream, but I wanted to try the flavour in a sorbet. He suggested I use Tangelo instead of Seville oranges as it has much more juice – unfortunately I couldn’t get hold of any, and by the time he told me I already had 5kg or so of oranges in the house so I decided to stick with them. It was my first time to use Sichuan pepper in a sweet dish so I went a little easy on them, and it turned out perfect for my taste. I loved the subtle kick in the aftertaste, and the balance of tartness between the two types of orange. I made some matcha Langues de Chat biscuits (‘cat’s tongues’ in French, similar to tuiles) to go with it – I remembered that it was lovely when I served this matcha and white chocolate cake with Seville orange sorbet. I dipped some of the biscuits in white chocolate, but they are delicious as they are too. I used the same amount of juice from both oranges, but you can use just one type, or different proportions. Just make sure to adjust the sugar quantity as Seville oranges are much more tart than blood oranges. I’m hoping to make another couple of batches before the oranges are gone for another year – I always try to make enough to keep for a while, but they never last long in our freezer. Roughly crush the peppercorns in a pestle and mortar. Place the sugar, water, peppercorns and zest in a saucepan over a moderate heat, bring to the boil and simmer for about 15 minutes until syrupy. Steep for about an hour or so. When cool, add the orange juice and strain the liquid. Chill the mixture in the fridge, then churn in an ice cream machine according to the manufacturer’s instructions. In a bowl, beat the butter and sugar until pale and fluffy. In a separate bowl, whisk the egg white with a pinch of salt just until it starts foaming. Slowly add the egg white into the butter mixture, stirring it in as you add. Sieve the matcha, then flour and ground almonds into the mixture, and gently mix. Transfer the batter into a pastry bag fitted with a plain tip. Pipe the mixture onto a baking sheet, leaving enough room between the strips for them to spread. Bake for 5-6 minutes, or until the edges are just slightly brown. Cool on a wire rack and store in an airtight container. Love this combination of the tart sweet orange and the heat from the pepper. My kind of sorbet! I was even thinking this combination would be a nice sauce on fish. Yum. So, so excited to see a new post!! Even more so because of my great love for Sichuan pepper. I’m making three orange marmalade at work, for our charcuterie plate, and now I’m pretty sure I’m going to have to steep in some Sichuan peppers. Awesome. This sorbet would be perfect for summery days we have down here. As usual your post is an inspiration, so lovely ! Your work is always so stunning. Love everything. Always a smile when one of your posts comes up in my reader and this recipe looks like a winner – I also have about 3kg of blood oranges, I’ll have to hunt around and see if I can find Seville here in Austria. Your photos are beautiful. I like the idea of serving them with Matcha biscuits, but I’m not sure about the peppercorns – I must try this recipe! Citrus fruit are the gift of winter to us in order to compensate for those gloomy, dark and cold days. Making a citrus sorbet this time of year is the ultimate revenge. I was eating blood oranges while reading your post, now I feel like I should have keep them to do this recipe. Looks wonderful. This looks delicious, love the matcha biscuits! This sorbet looks so fresh and deoicious! Did I say this looks wonderful? Mmmm too. I adore your linens. I always use the peper to fry some dishes,your sorbet totally amazed me~~! Keiko, this Blog post is so lovely. You make gossamer light art out of food photograsphy.I love Seville oranges, and we have just made lots and lots of marmalade. Can’t wait to see you! All good wishes, Silvana. 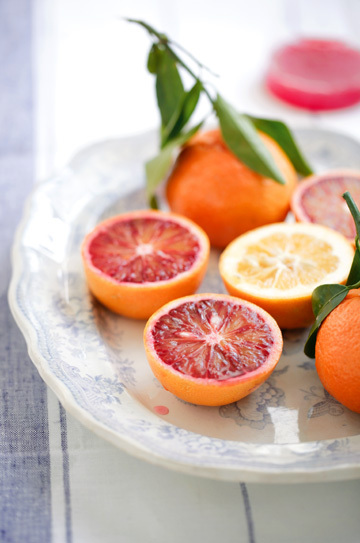 What a perfect seasonal treat, love seville and blood oranges, can’t get enough of them this time of year! Will definitely be trying this sorbet, and also the matcha langues du chat match so well with these crisp, citrussy flavours. Yum. I looove blood oranges. I usually just eat them as is but may make sorbet after seeing this! I’ll never forget the scent of svilian orange tree flowers blooming in early andalusian spring… Are the spanish city orange fruits still Fortnum&Mason monopoly and used in their famous marmalade? Thank you for your nice posts and your lovely photos. I came across your web site by accident and loved it with all the photos of food, dessert and everyday surrounds.I will certainly try the seville sorbet having just made marmalade with them. Is matcha just powered green tea? I love everything you posted especially the fascinating potos you took. Very great. Sichuan pepper with orange, how intriguing….absolutely adult! 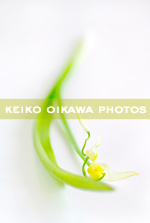 Your photos are beautiful as usual, Keiko. Only recently did I try blood oranges for the first time. Pairing it with sichuan peppers sounds even more intriguing. This is just gorgeous – I would never have thought of pairing the blood orange with matcha, how unusual ! Beautiful photos. I’ve made tomato and red pepper soup using a dash of orange juice before now. It wasn’t bad, but I wonder if Sichuan pepper would take it up a level. Thank you for the recipe. Enjoyed the pictures. We lived many years in Japan and it is always a thrill for me to re-visit Japan, even if it is through other peoples blogs. Such a beautiful post – what a heavenly flavor combination. I’m in the midst of citrus mania over here and will definitely give this a go. I’ve been sort of easing back in to blogging, and I’ve been checking in over here. I’m so happy to see this lovely new post and hope all is well. Could you possibly write a blog about your photography methods? Wow-made this after a raclette dinner party,so needed a light dessert. It was amazing. I served almond tuiles and candied orange peel with it. BEAUTIFUL! Delicious and gorgeous blog. So happy I stumbled across you!! It must be the season for szechwan peppercorns in dessert…I am doing one tomorrow… they are good aren’t they and the orange with them is superb. What beautiful photos you take… serene. HI Keiko, My captain just offered me if I want an ice cream maker he will get me one…. Love your stories as usual.. I have only made one batch of ice cream in my ice cream maker but this looks so delicious I just might have to break my ice cream maker back out! 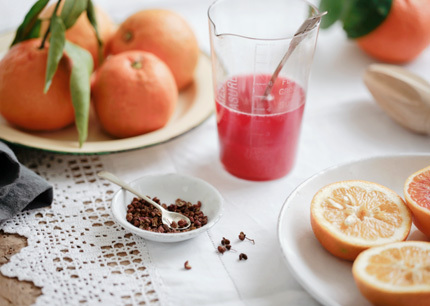 These are beautiful photo’s and your blood oranges and juice are such a stunning colour. The sorbet would be the perfect dessert after a heavy winter meal and I will be saving this recipe to impress my guests at some stage! Beautiful photos as always! The sorbet looks so pretty in the mandarin orange pink color. I like that you added a little Japanese touch to your serving by adding matcha Langues de Chat. 5 kg worth of oranges is a ton of oranges! It must have been nice to use them to make this recipe otherwise you’d have to eat them everyday for a while until your hands turn orange! 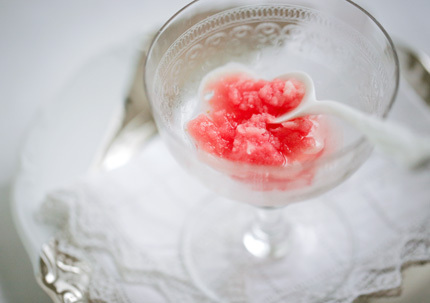 Beautiful photos and love the flavors of this sorbet. Heard about Japan, I hope you and your family are Ok?, and hoping to see you and your pictures soon. Keiko, I assume you still have friends and family in Japan. How are they fairing, after this horrible earthquake and tsunami? Hope all is well. gorgeous. I love blood oranges. i have a healthy fascination with them. and I think they love me too. One of my new resolution this year was to bake with matcha. This recipe seems more than appropriate! And the light on your blood oranges is absolutely gorgeous! Stunning pics! Wow! I saw your blog featured on the Times top 50 food blogs, and it’s absolutely beautiful! Your pictures are absolutely amazing, what kind of camera do you use? Thanks for posting. This recipe is very unique and I can’t wait to try it! I bought some lovely Sichuan peppercorns recently but I had no idea what I could cook with them. Thanks for the inspiration, I can’t wait to try this sorbet and the pepper carbonara! Great recipe. I am looking forward to trying it out. It will be perfect for the wonderful spring weather right now. I have not paired with sichuan pepper before, thanks for the new insight! Looks healthy and delicious. Yummy photos too. Thanks for sharing the recipe. I like it. please sign me up to your beautiful blog..thank you. I’m so happy that I’ve stumbled upon your blog.. it is so enjoyable to read and the pictures just make my mouth water :) By the way, may I know the camera and lens you are using for taking these lovely food photos? Wow! Amazing combinations. Inspiring, I’m now thinking yuzu and licorice… Perhaps? Thanks for the recipe. I’m trying to cut out ice cream and this looks like an ideal substitute. Inspiring recipe and stunning photography. I am delighted of stumbling upon your blog! Your sorbet makes winter warmer, even if it’s cold. Colours are so beautiful and alive. Great. Oh Oh your photography is sublime as always ! I wish you would be able to do some photography for me !! ‘The 50 Best Food Websites’ by The independent on 16th July has guided me through here. Love your beautiful pictures! Will come back again and again. Brilliant! some of the best food pics I have ever seen. Glad I found your site. You’ve stopped posting for a very long time now… Your fans miss you. Hope you’re keeping well. 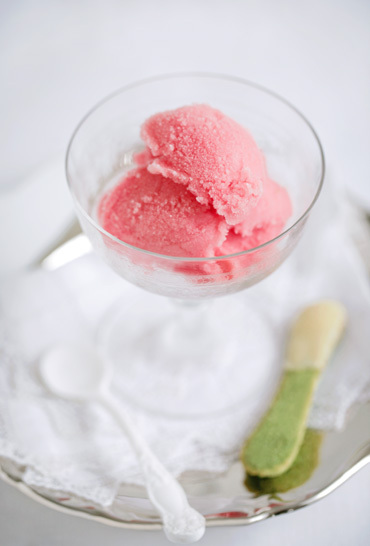 Great recipe, I’ve always loved sorbet and the idea of that Sichuan kick sounds pretty good! Excellent pictures. This sorbet looks fabulous. I will try it soon. Looks great. I can’t wait to try this. Thank you. Very fatastic blog! i’m happy just staring at those fatastic photos! Your images and words are always worth seeing and reading again. I’m writing because though we don’t know each other, I’ve thought of you often since the earthquake in Japan, and hope that your loved ones are all well, and finding some normalcy, and you too. I look forward to your next posting, both because they are wonderful, and as an indication that times are happier. Hi Keiko! What stunning photography! You make food look exactly as it should…simple, beautiful and clean. Keep up the good work! I am officially addicted to this recipe! Love your desert recipe. I love icecream. Thank you. Oh, the photos are beautiful. The combination of ingredients sounds excinting. What a great blog! Thank you for sharing. Do you have a facebook? This looks absolutely delicious! Recently tried blood orange ice cream here in the South of France and it was so amazing. The sorbet must be even better! Woderful blog. I love the icecream recipe . It looks delicious ! Your photography is simply amazing…..just breathtakingly beautiful!!!!!! Great post.Thanks for sharing.The icecream looks delicious. i’ll surely try this recipe. but i want to add a “twist” on it. i want to add some greek yogurts since i REALLY love it. what do you think? would that be okay? Very neat photos, they really add up to the excitement to taste this ice cream.